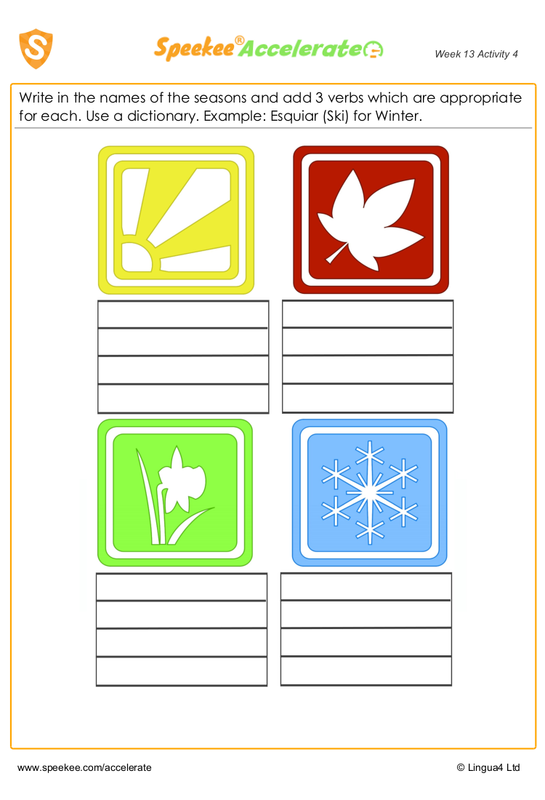 Write in the names of the seasons and add 3 verbs which are appropriate for each. Use a dictionary. Example: Esquiar (Ski) for Winter.